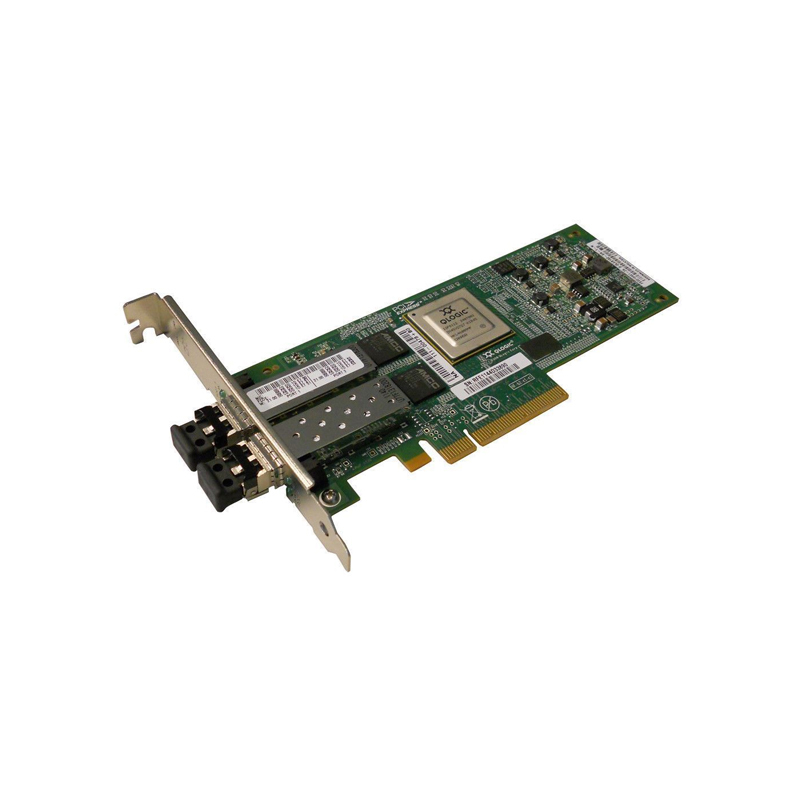 The NetApp X1139A-R6 is a Unified Target 2-port 10GbE PCIe card with SFP+ that is compatible with NetApp FAS and V-series systems. Whether you’re looking for replacement NetApp components or upgrading your existing NetApp system, we have what you need. If you don’t see the part listed that you’re looking for, please use our Contact Us form; as we have many parts in inventory that are not listed. Please note that all NetApp components are used, fully tested, and backed by a 60 day warranty. Same day, expedited, and international shipping available! The NetApp X1139A-R6 Unified Target 2-port 10GbE PCIe Card w/SFP+ is also known by part numbers 111-00478 and QLE8152-SR-T-N. Adding the Unified Target 2-port 10GbE PCIe Card with part numbers X1139A-R6, 111-00478, and QLE8152-SR-T-N to the PCIe expansion slots in your NetApp FAS-series or V-series array will increase the flexibility of your storage system by enabling it to utilize different protocols such as FCoE, iSCSI, and Ethernet. This enables flexible, efficient storage infrastructure through multi-protocol data access over a shared network port. The NetApp X1139A-R6 boosts system performance with 10Gbps speed and full hardware offload for FCoE protocol processing. Cutting edge 10Gbps bandwidth eliminates performance bottlenecks in the I/O path with a 10X data rate improvement versus existing 1Gbps Ethernet solutions. Additionally, full hardware offload for FCoE protocol processing reduces system CPU utilization for I/O operations, which leads to faster application performance and higher levels of consolidation in virtualized systems. And now, one converged network adapter can do the work of a discrete FC host bus adapter and Ethernet NIC. This convergence also means fewer cables, fewer switches, less power consumption, reduced cooling, and easier LAN and SAN management.